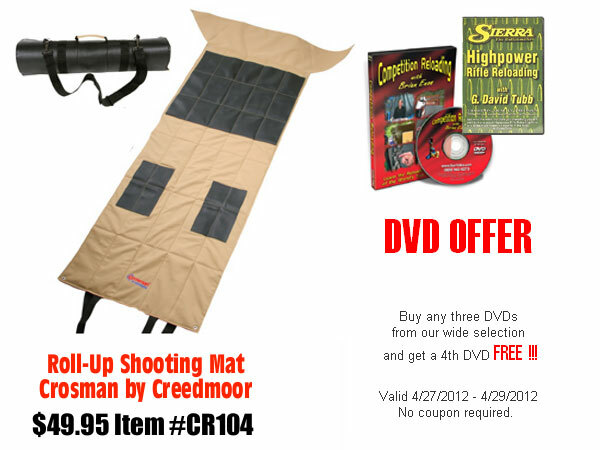 The Top Shot TV show recently featured the “Mad Minute”, a high-speed drill requiring shooters to place as many hits as possible on a steel plate set at 200 yards. The time limit was one minute, and shooters were using historic Lee-Enfield bolt-action rifles. Top Shot’s “Mad Minute” was based on a British Army training drill. Soldiers were expected to get at least 15 hits on an bullseye target at THREE hundred yards. Top Shot cheated a bit, placing the target at 200 yards (instead of 300 in the real British Army “Mad Minute” drill). Still the two Top Shot shooters managed only six (6) shots each in one minute. Consider that a “passing score” for a Brit soldier was 15 hits, you have to give credit to those WWI-era Tommies. Using an Eliseo RTM Tubegun chambered in .308 Winchester, Gary Elesio attempted the “Mad Minute” last weekend. Gary ended up with 24 hits on a bull target set at 300 yards. 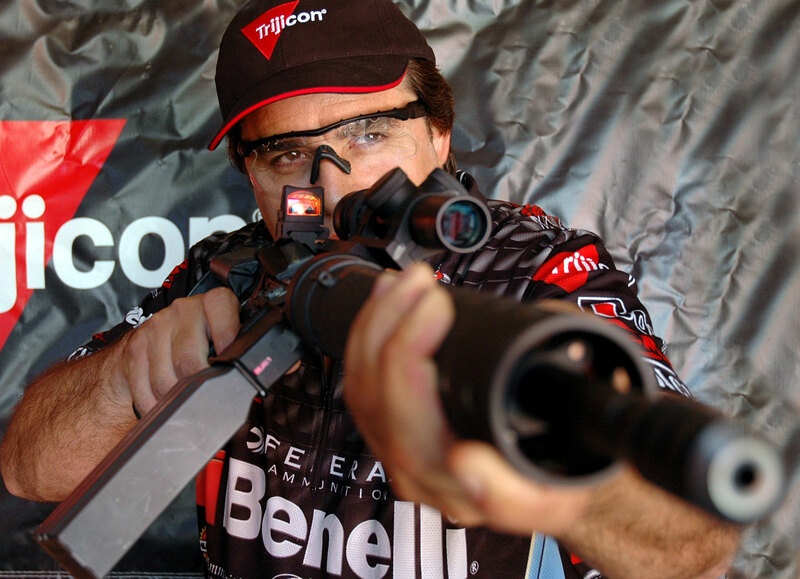 That’s four times as many hits as the Top Shot competitors. Gary actually had 25 hits in 25 rounds fired, but the last round hit just after the 60-second time period expired. Note how Gary pulls the trigger with the middle finger of his right hand. This allows him to work the bolt faster, using his thumb and index finger. The straight-through (inline stock) design of the Tubegun allowed Gary to maintain his cheekweld and head position throughout the minute-long drill. As well as the training Gary mentions and commends, there were pay incentives / penalties for certification or failure, and there were valuable monetary and kudos benefits in achieving very high hit counts in the 20 + range. Tommies could draw their rifles from the armoury any time when off duty and spent hours in barracks practising using inert rounds and dry firing. For instance, a common practice was to balance a halfpenny coin on the foresight blade between the sight protecting ears and take shot after shot prone on the barracks floor until the trigger was pressed and the ‘shot taken’ without the coin falling off its perch. None of this is to detract from the skill many of these guys had and the fantastic results they got both in rate of fire and accuracy out to 500/600 yards. That came from long days of live firing at full distances — far more practice than I’ll warrant US doughboys got at that time. The result was when the small British Expeditionary Force acted a blocking force against two advancing German infantry corps in Belgium in the autumn of 1914. Kaiser Wilhelm predicted confidently that his highly trained ‘Landsers’ would sweep this ‘contemptible little army’ aside. Instead, the Germans advancing in the open at ranges they felt was safe from rifle fire ran into a wall of lead of such a rate and accuracy that regimental commanders explained their failure to advance and massive casualties through the British having far more automatic weapons than their intellignce had briefed. The British survivors of that period adopted the self-styled title of ‘Old Contemptibles’ as an ironic rebuke to Wilhelm, one still used today. By Christmas 1914 that small and highly professional British army had been destroyed through attrition and army rifle competitions aside never achieved those riflecraft standards again — but of course that’s what a machinegun is for and it was criminal that BEF battalions (600-1,000 men) went to war with an establishment of only two Vickers-Armstrong machine-guns — a fraction of that in the opposing German units. Share the post "Gary Eliseo Runs ‘Mad Minute’ Drill with Modern Tubegun"
On April 17th, the Sportsmen’s Heritage Act of 2012 (H.R. 4089) passed the House of Representatives with a 274-146 vote. 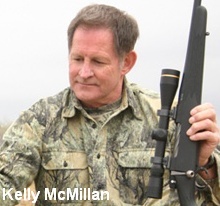 Sponsored by Rep. Jeff Miller (R-Fla.), the bill combines four legislative priorities that will expand recreational hunting, shooting and fishing opportunities and also reaffirms existing law and heads off determined bureaucratic efforts to deny hunters and shooters from using traditional ammunition. This important legislation is supported by more than 35 national conservation and sportsmen’s groups. Included in H.R. 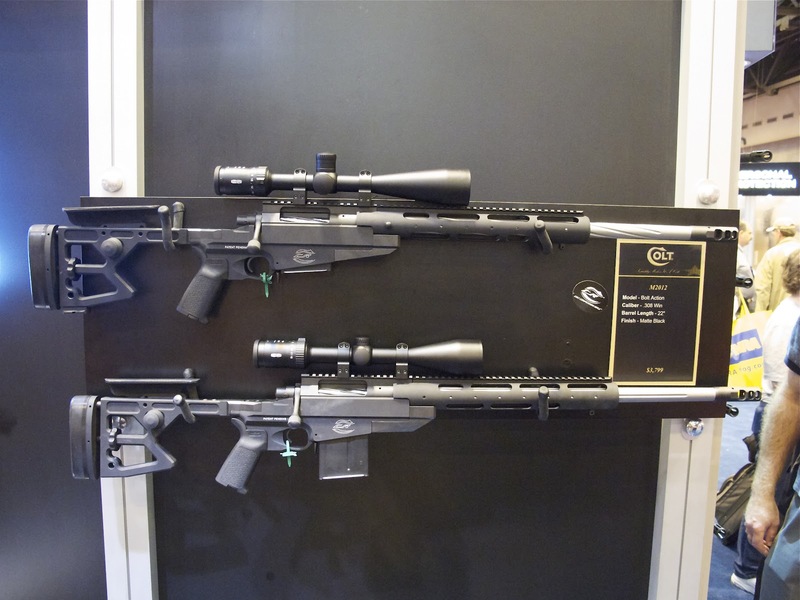 4089 is the Hunting, Fishing, and Recreational Shooting Protection Act. 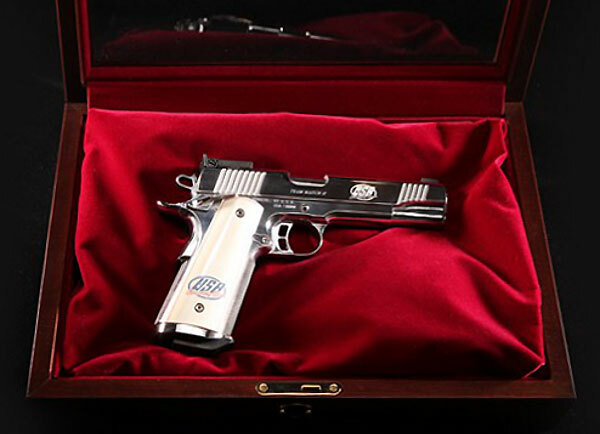 The bill amends the Toxic Substances Control Act to clarify the original intent of Congress to exclude traditional ammunition — ammunition containing lead-core components — and fishing tackle from regulation by the Environmental Protection Agency. The Polar Bear Conservation and Fairness Act, which will allow the importation of polar bear parts taken in a hunt in Canada, if legally harvested before certain dates. 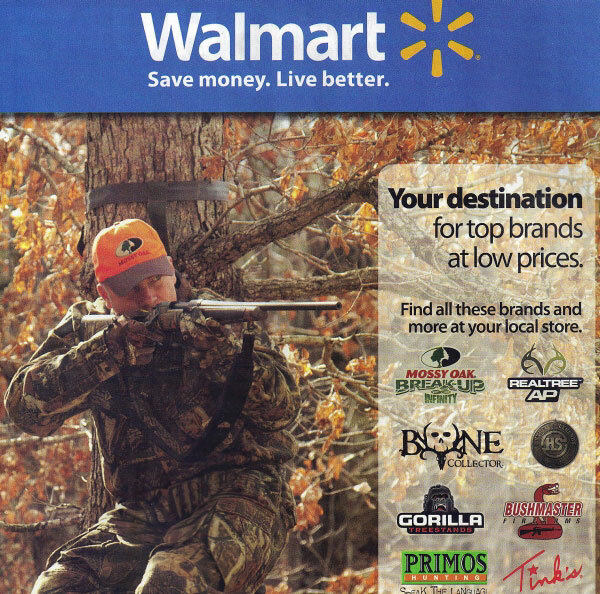 Share the post "Sportsmen’s Heritage Bill Passes U.S. House of Representatives"
WallyWorld Advertising — What’s Wrong with this Picture? Share the post "WallyWorld Advertising — What’s Wrong with this Picture?" 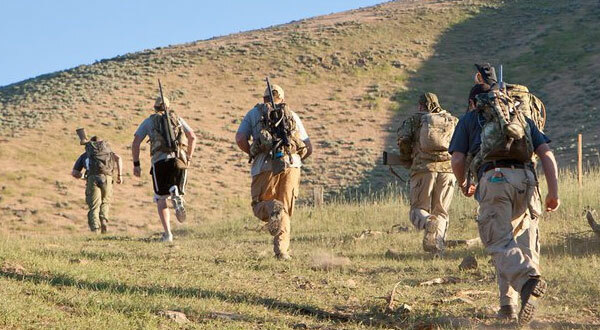 Registrations are now being accepted for the Vortex Extreme challenge event, to be held at the Spirit Ridge Rifle Golf long range shooting facility in Tremonton, Utah July 20-21, 2012. The first Vortex Extreme was held last July, and it was a big success (though conditions were very hot). If you’re looking for the challenge of long-range precision shooting with real-world hunting scenarios, the Vortex Extreme is your event. 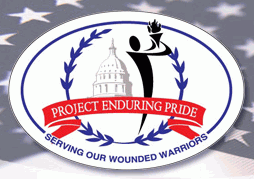 The event requires two-person teams to navigate the 7-mile course on foot carrying everything needed to successfully engage targets out to 1,000 yards. Final scores are based on how well each team shoots and how long it takes them to complete the course. Last year, many of the top teams jogged and ran most of the course — this requires fitness and stamina. CLICK HERE for detailed Information and to Register for 2012 Vortex Extreme. Registration will be limited to fifty (50) teams of two. The entry fee is substantial — $500 per team, but this does include overnight lodging in Tremonton, Utah, along with Friday dinner and Saturday breakfast. The winning team takes home $1500 and a trophy. Second place pays $700, and third place wins $500.00. 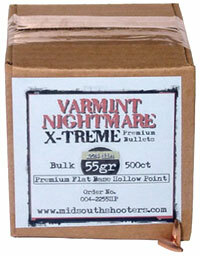 And there are many other prizes from Vortex, Russell Outdoors, and other vendors. If you’re interested, register soon. This event fills up quickly. 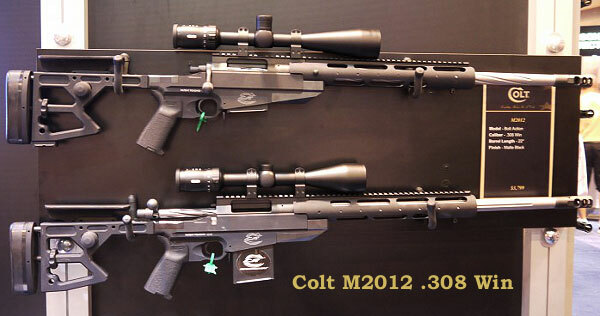 Competitors will fire up to 26 shots each. Nearly all shots will be from natural shooting positions adding to the realism of each scenario. Scores will be based on course time and how well each team shoots. Strong legs and lungs recommended. If you can hack it to pack it, you can bring it. Participants must carry everything needed to effectively shoot and complete the course. Each person must carry their own rifle. Other kit can be shared. 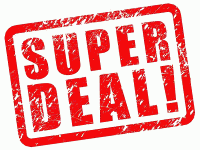 Essential gear includes: Rifle, ammunition, optics, rangefinder, shooting sticks, backpack, extra water, snacks, sun screen, good footwear, hat, eye protection, hearing protection. 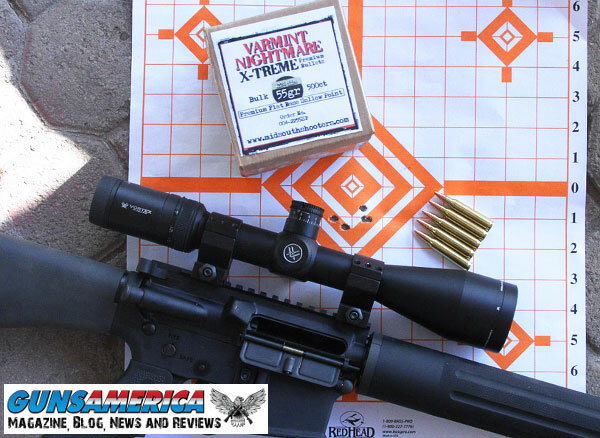 Share the post "Vortex Extreme — Ultimate Long-Range Shooting Challenge"
At the National Junior Olympic Shooting Championships this past week, a young Californian tied a smallbore prone record. Matthew (Matt) Chezem won the Men’s 50m Prone Junior Title with 1290.4 points. Matt shot 590 on Day 1 and came back with 598 on Day 2. Matt’s 598 points tied a National Junior Record. That outstanding score placed him first going into the finals, with a one point lead over Spencer Upham from Washington. Chezem shot 102.4 points to Upham’s 102.5 points in the final, but Chezem’s lead was enough to secure the gold. 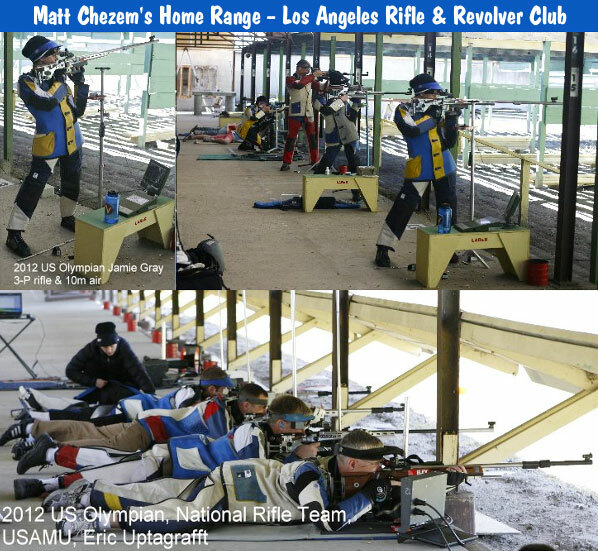 Chezem, a student at Moorpark College in California, also coaches other junior shooters at the Los Angeles Rifle & Revolver Club. Silver Medalist Upham, one of two 16-year-olds in the final, finished with 1289.5 total points. The bronze medal was a battle between Michael Matthews (3-Position winner) and Taylor Ciotola. Both entered the final at 1186 match points, but Matthews edged out Ciotola by just three-tenths of a point. 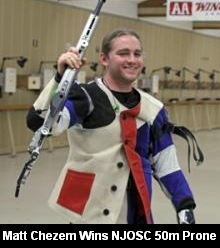 Mathews 3rd place in 50m prone, along with his 50m 3-Position win, secured Matthews a place on the USA National Junior Team. Share the post "Matt Chezem Equals Nat’l Jr. Record in Winning NJOSC 50m Gold"
The official results for the NBRSA 1000-yard Nationals have been released, along with final results for the F-Class Bench and 600-Yard Nationals. 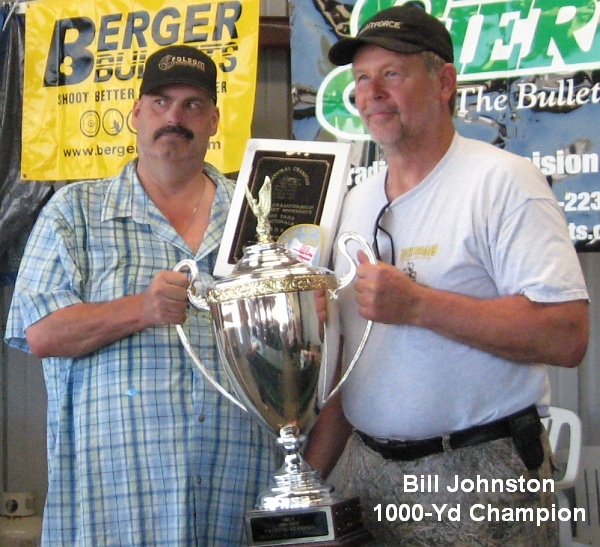 Congratulations to Bill Johnston, the new NBRSA 1000-yard Champion. Bill finished first with 18 rank points, edging runner-up Richard Schatz (19 pts) by one point. 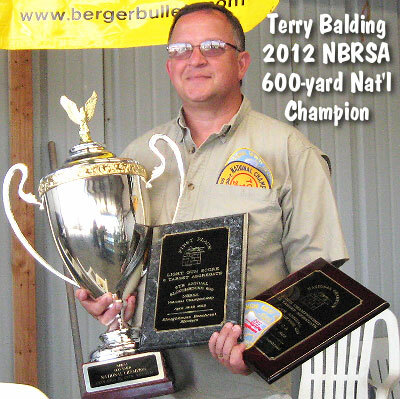 Terry Balding (who won the 600-yard NBRSA Nationals) finished third with 29 points, ahead of Greg Wilson (30, 4th place) and Robert Hoppe (34 5th Place). Jim O’Connell tells us tha several new records were set at both of the National Champonships (1000-yard and 600-yard). Check out the attachments for all the groups and scores as well as the many winners in separate divisions and target categories (LG/HG, Group/Score, Single Target/3-Target/6-Target). We congratulate all the shooters who attended the NBRSA Long-Range Nationals this week. The match directors thank you for your participation and hope to see you next year. 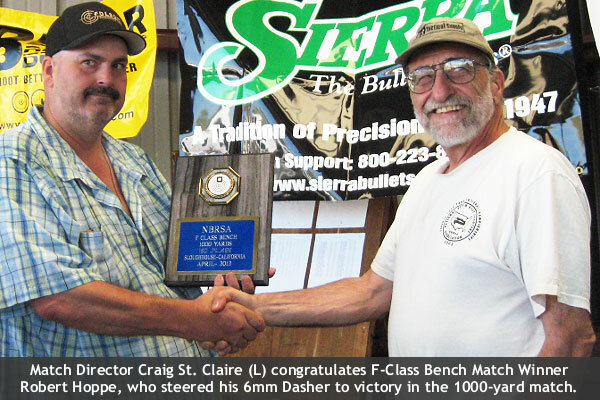 Share the post "NBRSA 1000-Yard Nationals Results"
As part of the NBRSA Long-Range Nationals conducted this week in Sacramento, an F-Class Benchrest match was held Friday, April 20th, with great success. 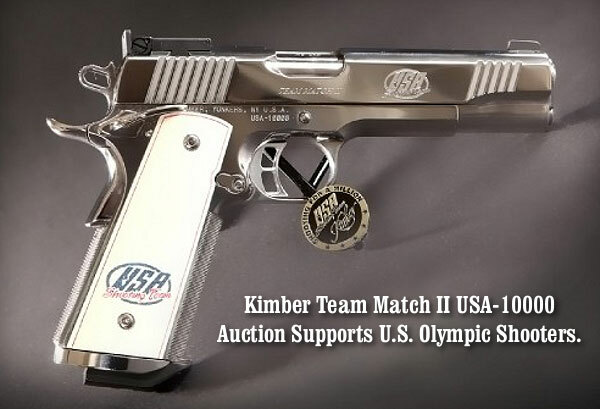 Why have a benchrest match for F-Classers you might ask? 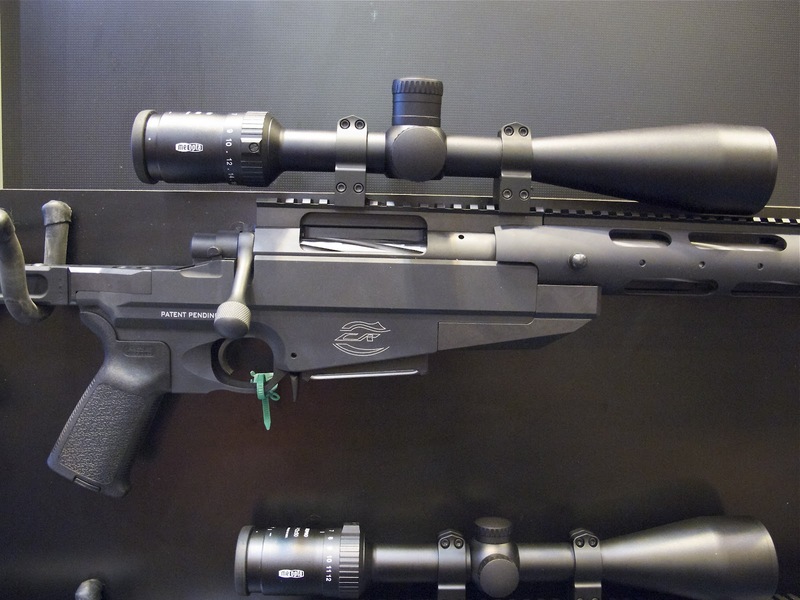 Well, this provides a new activity for F-Class shooters whose 22-lb F-Open and 18.15-lb F-TR rifles would not otherwise qualify under the NBRSA 17-lb Light Gun limits. Having more opportunities for more folks to shoot is always a good thing, we believe. With the success of this event, it looks like “F-Bench” matches will become more commonplace in the future. 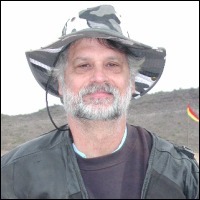 Jerry Tierney, our “field correspondent” in Sacramento, tells us that the NBRSA plans to approve F-Class Benchrest competition as a regular discipline. This will formalize the rules, targets, and course of fire. At Friday’s F-Class Bench match, the shooting was all done at 1000 yards, from the covered shooting line at the Sacramento Valley Shooting Center. The event consisted of two, 1000-yard matches with a time limit of 30 minutes each and unlimited sighters. 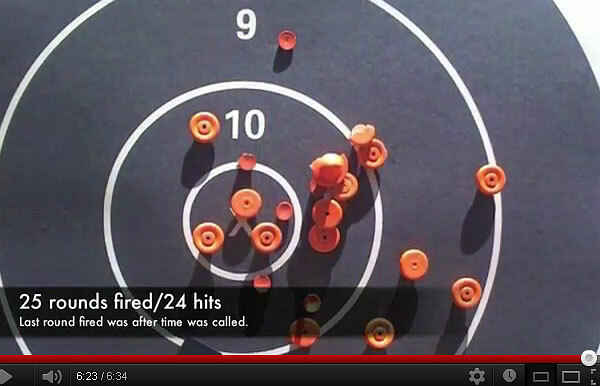 Shooters were divided into three relays: one firing, one scoring, and one in the pits. That division of labor kept everyone active throughout the day. All three relays in the first match shot in VERY mild conditions. At the start of match two, the wind came up from the left. The winner was a familar face, Robert Hoppe, racking up 387-11X with his 6mm Dasher. Runner-up, just one point behind, was Gary Noble (386-11X). In third place was Shawn Greene (383-13X). Robert is a heck of a shooter. 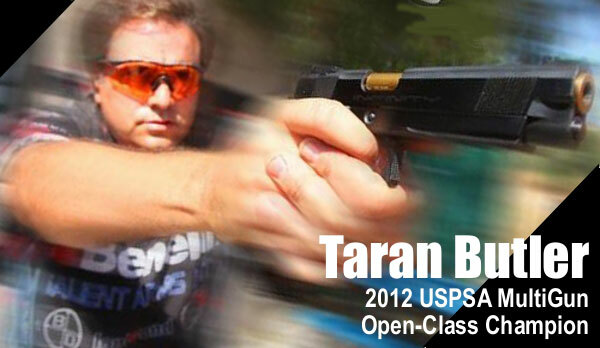 He still holds the NBRSA record for the smallest 5-shot group ever shot in a 600-yard NBRSA benchrest match. 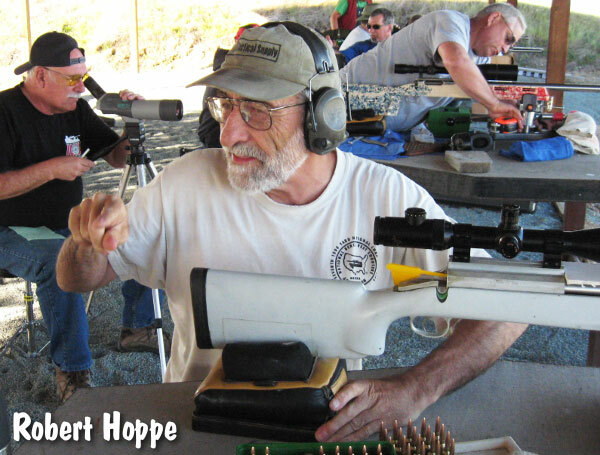 Robert drilled an amazing 0.5823″ group in 2007 to set the NBRSA Light Gun record. Five years later, he’s still on his game. The NBRSA Long-Range National Championships continue today and tomorrow with the Sloughhouse 1000 two-day match. Match results and photos by Jerry Tierney, who shot the match and finished 6th with 383-8X. Share the post "F-Bench Competition: ‘Belly Benchrest’ without the Belly"
A handy eBook version of the popular resource ABCs of Reloading is now on sale for $1.99. That’s right — for the price of a cup of coffee at Starbucks, you can get a very useful 288-page introductory reloading treatise, complete with hundreds of photos. The print version of this book costs $17.81 at Amazon. 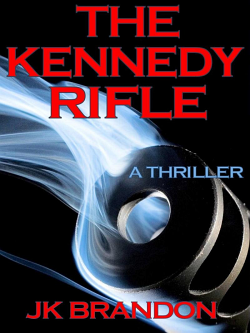 This eBook will not tell you about some advanced reloading methods used by benchrest shooters. However, you’ll find good basic information on important topics such as: powder storage, proper handling of primers, how to set full-length dies, press mounting and set-up, trimming brass, and measuring for run-out. For those who are new at reloading this is a very useful guide that contains the fundamentals you need to know to be a safe and productive reloader. 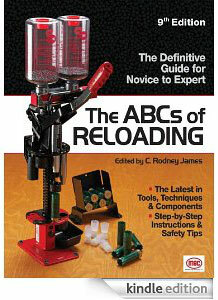 If you have friends who are getting started in reloading, you can send this eBook to them. It’s a thoughtful, inexpensive gift. Please note: This $1.99 edition is a digital book, NOT a paperback. It does have hundreds of photos and many charts. We found the text very easy to read on a Kindle, and most of the photos were plenty big. You can download a sample for free if you’re curious to see how the book displays before you buy. An eBook is a digital file with text, photos and graphics. You download the file from Amazon.com to your Kindle (hand-held) eReader, home computer, lap-top computer, iPad or smartphone. You may have to install a free eReader App on your computer or phone before you can access the file. Once the file is loaded you can search text, make bookmarks, and highlight text. No. Even if you do not own an Amazon Kindle, you can read the eBook on any kind of computer, or you can read the eBook on a smartphone or iPad. But you may have to install a program (App) before the file can be opened. The reading Apps are FREE. If you have an Amazon Prime membership, you can download this eBook for FREE — provided you haven’t used up your “one book a month” allotment. 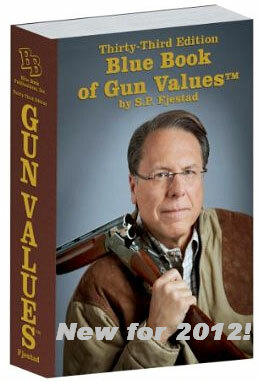 Certain Amazon titles (like this) are in the Prime Member Lending Library. 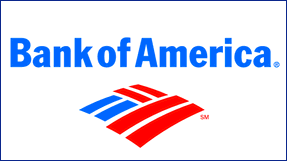 Each month, you’re allowed to download one Lending Library eBook for free. If you haven’t “borrowed” an eBook this month, and you’re an Amazon Prime member, you can get the digital edition of the ABCs of Reloading for FREE. Share the post "Get ABCs of Reloading eBook for just $1.99 at Amazon.com"
The NBRSA 600-Yard Nationals were held April 18-19, 2012 at the Sacramento Valley Shooting Center in Sloughhouse, CA. Among the nearly 40 com-petitors, Forum Member Terry Balding (aka Terry) was the big winner, taking home the Overall Two-Gun Title with strong performances in both Light Gun and Heavy Gun divisions. 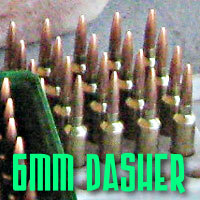 In both classes, Terry shot his 6mm Dasher Light Gun. Terry finished with 19 rank points, and former NBRSA 600-yard Champion Richard Schatz was not far behind with 24 rank points. Richard, as you’d expect, also shot a Dasher in both classes. 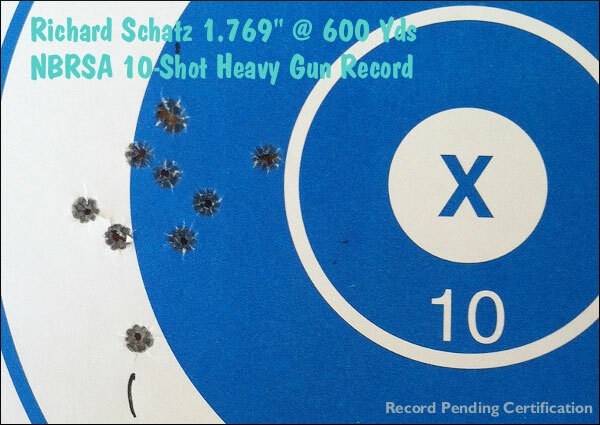 Schatz apparently was at no disadvantage using his Dasher Light Gun in the Heavy Gun phase — Richard set a new NBRSA 10-shot Heavy Gun Record with a 1.769″ ten-shot group, and Schatz also posted HG single-target high score for the match, a 99-8X. Both Terry and Richard plan to shoot their Dasher Light Guns in both LG and HG classes at the NBRSA 1000-yard Nationals which continue this weekend (Saturday and Sunday) in Sacramento. We’re delighted to see Terry Balding win this major Championship. He has worked very hard on his game and has steadily climbed the ranks. He’s a deserving new Champion. Along with his overall win, Terry posted the best 6-target LG score: a 284-5X (plus tie-breaker group). When confirmed this will be a new NBRSA 6-target LG record. 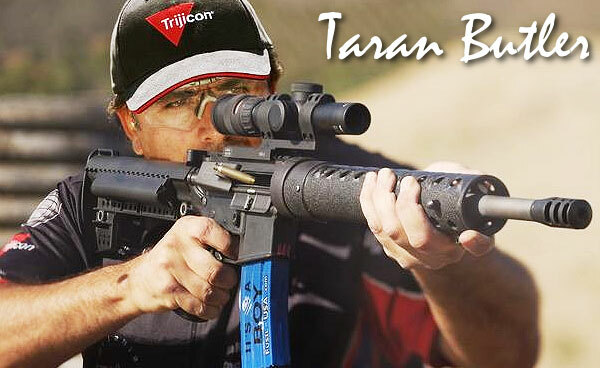 Terry told us he shot fast to stay in the non-dominant left to right condition. In both LG and HG relays, Balding waited for the L to R to appear, then he shot fast. Terry’s 6mm Dasher, smithed by Lester Bruno, features a multi-flat BAT dual-port action, March 10-60x52mm scope with PECA Amber filter, McMillan MBR stock, and 28″ Krieger 1:8″ twist, 0.237″-land barrel. Terry told us this barrel shot great “right from the start”, and his Dasher has performed very well in the last five matches, so he wasn’t surprised it did so well in Sacramento. Terry’s match-winning load consisted of Berger 105gr Hybrids “pointed slightly with a Whidden Pointer”, pushed by Varget powder and CCI 450 primers at 3030 fps. Terry seats his 105s very slightly into the lands. As is becoming the fashion with many top shooters, Terry anneals his brass (with a Ken Light annealer) after every firing. Terry believes this helps him maintain “very consistent neck tension”. Terry wanted to give credit to his friend Richard Schatz, who “has been a great help for a number of years”. Terry, who hails from Wisconsin, also wanted to mention that his home club, the Columbus Sportsmans Association, is constructing a new 600-yard benchrest range in Columbus Wisconsin. Terry invites his fellow shooters to visit the new range when it is complete, hopefully by August of this year. Our friend Richard Schatz performed well, shooting his trusty 6mm Dasher. There was a bit of a change this time around — Richard was pushing his 2006-vintage 107gr SMKs with Varget powder, rather than Reloder 15, which he has used in the past. Richard explained that his lastest barrel seems to prefer the Hodgdon Varget. Richard joked: “After so many years using RL15, I felt like I was taking a new girl to the Prom”. 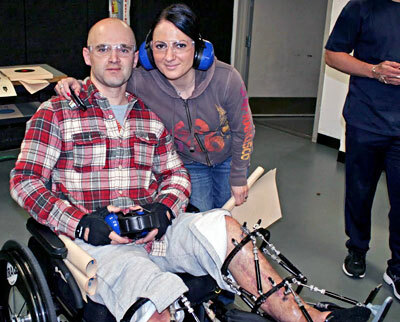 Like his friend Terry Balding, Richard shot fast to stay in a condition: “I was running pretty much as fast as I could. By the time of the Heavy Gun relay, the gun had settled well into the bags, so it was returning to battery really well.” Richard definitely had his Dasher running well during the Heavy Gun phase, as he ended up setting a new NBRSA 10-shot Heavy Gun single target record. Shown below is Richard’s record target. Thanks to Jerry Tierney for providing 600-yard match photos. Jerry will be shooting in the F-Class Benchrest match held April 20th in Sloughhouse. Share the post "Terry Balding Wins NBRSA 600-Yard Nationals with Schatz Second"